Ruth Ziolkowski was born Ruth Carolyn Ross to Frank and Lydia Ross on June 26, 1926, in West Hartford, Connecticut. She first met Korczak Ziolkowski at age 13 when she and a girlfriend mustered the courage to call the sculptor's home in West Hartford seeking the autograph of a movie star who was visiting Korczak at the time. Two years later, Ruth met Korczak again when she was among a group of volunteers helping to raise money for the 13 ½ foot tall statue of Noah Webster which the sculptor was carving as a gift to West Hartford. 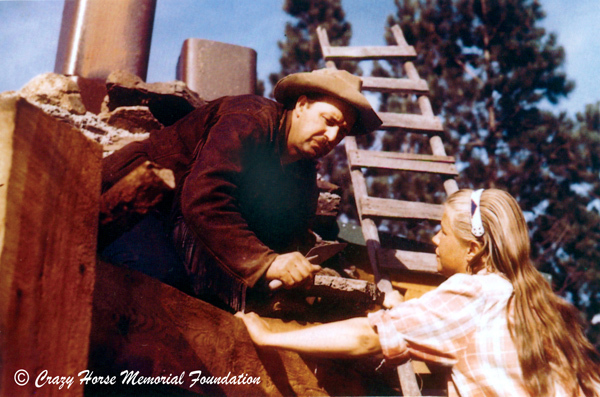 In 1947, at the age of 20, Ruth arrived in the Black Hills as a volunteer to help create a memorial honoring the Native American Indian (Crazy Horse Memorial®). She helped Korczak prepare the logs for the log studio-home as well as the 741-step wooden staircase to the top of the Mountain. As Ruth and Korczak continued to work together a great love formed. Ziolkowski and Ross were married Thanksgiving Day; November 23, 1950. 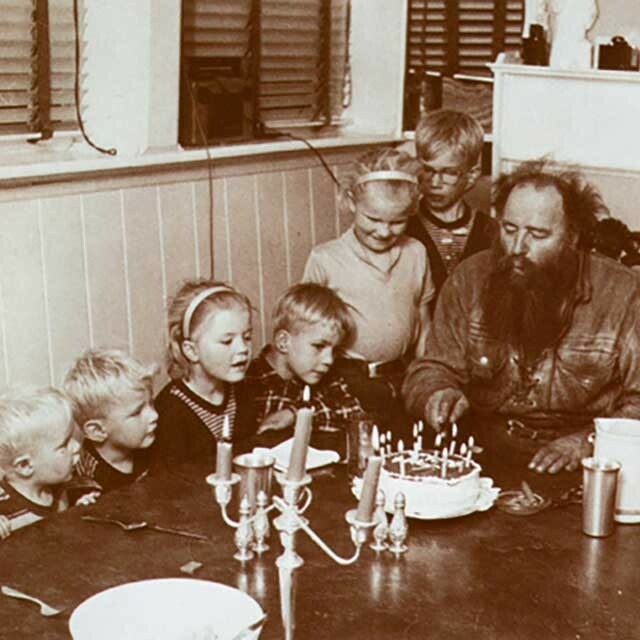 The Ziolkowski family quickly grew with Ruth and Korczak welcoming ten children into the world. Five boys and five girls were born in the cabin that Ruth helped build when first moving to the Black Hills. 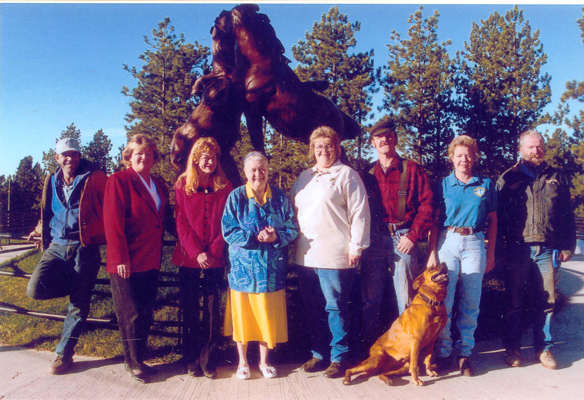 In the early years at Crazy Horse Memorial®, Ruth oversaw all day-to-day operations. This included the timber mill and dairy farm on the property; the only means of income for the Carving and the Ziolkowski family. Ruth was also in charge of the purchasing and spending for the family and the Mountain. Together, Korczak and Ruth prepared 3 books of comprehensive measurements for the Mountain Carving to ensure its continuation. 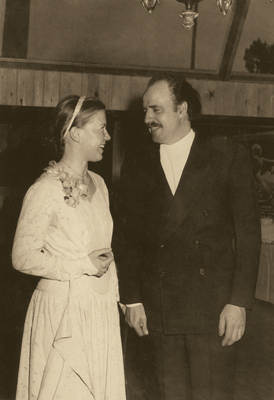 In 1982, when Korczak passed away at the age of 74, Ruth served as the President and Chief Executive Officer of the Crazy Horse Memorial Foundation. 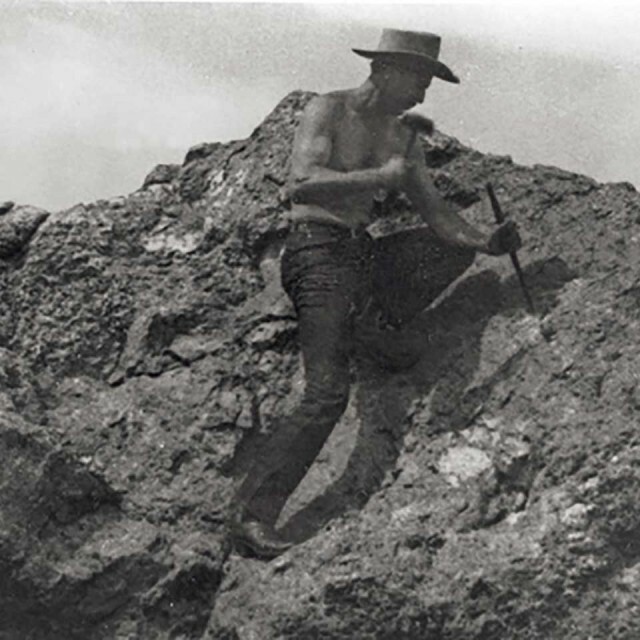 Public sentiment was skeptical that the Crazy Horse dream could continue without Korczak. Armed with the detailed books she prepared with her husband; Ruth took the reins and directed Crazy Horse Memorial® into a new era. 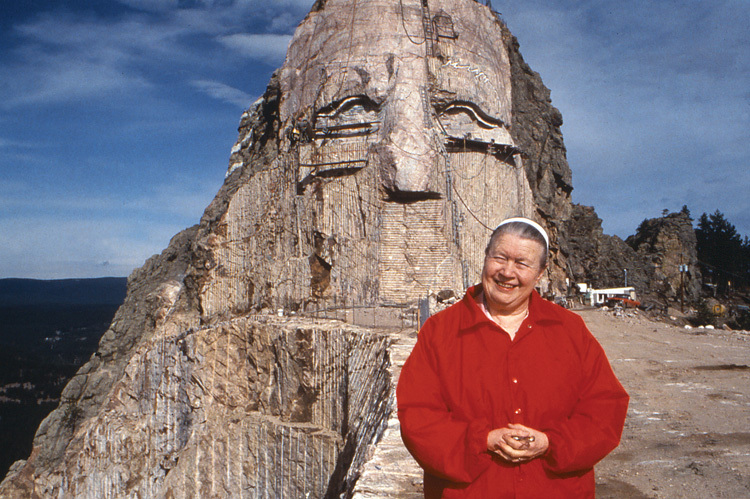 After much contemplation, Ruth decided to shift the Mountain Carving efforts from the 219 feet high Horse's Head to the 87.5 feet high Face of Crazy Horse, creating a heroic profile that visitors could see. 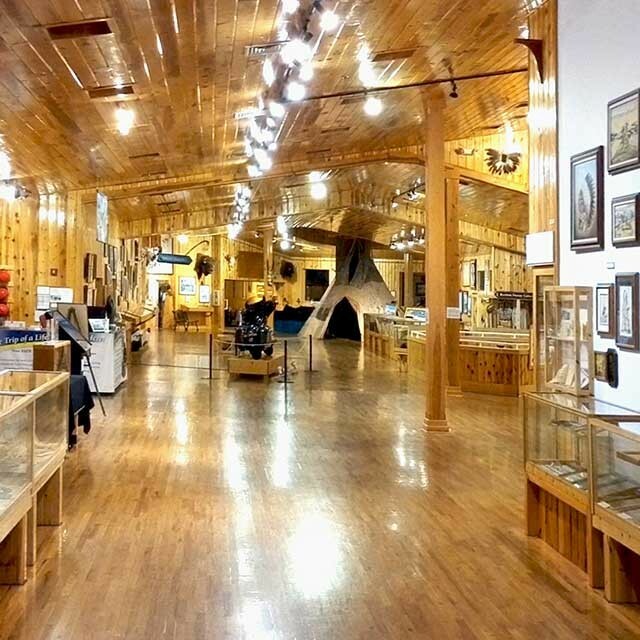 Ruth is also credited with the expansion of the public facilities to accommodate the growing number of visitors and keep with the Crazy Horse Memorial® mission of honoring the culture, tradition, and living heritage of the North American Indians. Ruth's improvements to the facilities include; a 300-seat theater, a wing to THE INDIAN MUSEUM OF NORTH AMERICA®, expansions to the parking lot and viewing veranda, and addition of gift shops, a restaurant, a library, a laser show, and much more. Ruth worked tirelessly to expand on the cultural and educational offerings at Crazy Horse Memorial®. Her legacy will also include the additions of THE NATIVE AMERICAN EDUCATIONAL AND CULTURAL CENTER® and THE INDIAN UNIVERSITY OF NORTH AMERICA®. On May 21, 2014, Ruth Ziolkowski passed away after a short battle with cancer. Ruth was laid to rest near Korczak's tomb. The Crazy Horse Dream has been handed to the next generation with 4 of the 10 children and several grandchildren working to continue the legacy of Chief Henry Standing Bear, Korczak Ziolkowski and Ruth Ziolkowski.